Learn more. Feel better. Mental health is science. Let’s start with the basics. Too often, young people’s lives are derailed by mental illnesses. Life gets hard at a time when the future should shine brightest. About one-third of students with mental health issues drop out of school. Without an education or experience to put on a resume, landing a job can be hard. Sometimes, mental symptoms go away after a while; sometimes, they don’t. It’s important to get help in either case. Learning about mental health is the first step to wellness. The Mental Wellness Center can help, starting with before illness and all the way through an illness to recovery. If you’re a teenager or young adult experiencing symptoms, we can help you and your family find medical and professional care, as well as teach you important skills on how to manage your mental health. You can recover your potential for living your best life, and your family can get the information and interpersonal support they need so that you can all work together. Remember, regardless of the circumstances, recovery of your well being is not something you or your family needs to tackle alone. 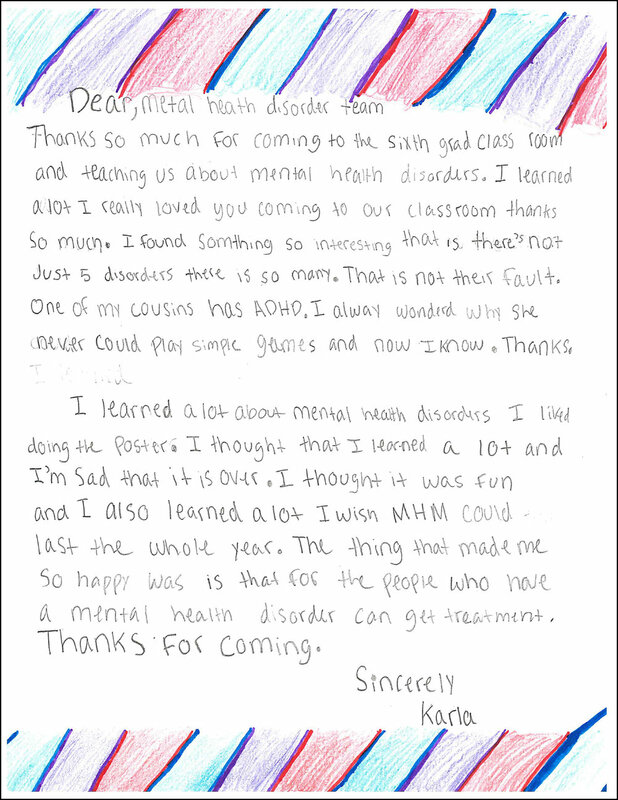 Mental Health Matters teaches basic facts about mental health to middle school and high school students. Course instructors talk about stigma and how it affects our perceptions of mental illness and taking care of ourselves. 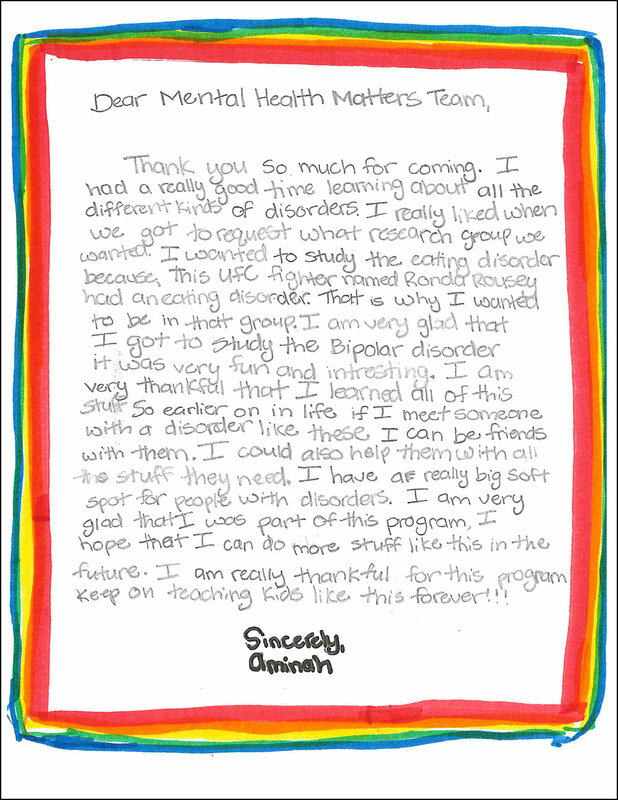 You’re likely to see us teaching Mental Health Matters either in your sixth-grade class or your ninth-grade health classes. The California Standards for Health Education include mental, emotional and social health. We believe there is not enough info in our textbooks to learn about these important topics. Mental Health Matters fills the gap. Important basics about mental health get addressed and you learn how you and the important people in your life might be affected by mental health issues. The course is fun! Teachers use a range of techniques to keep students engaged. The teachers work as a team and this helps keep the process dynamic and students involved. SPOT: A peer support group for parents and caregivers of teens (ages 12-26) struggling with mental health or substance abuse from crisis to aftercare. Parents can connect with others, find resources, and learn to manage children’s needs without sacrificing their own. Tuesdays: For moms of teens and adolescents. 12-1:15pm at 35Teen Center - 1235 Chapala St. Please join us by calling our Family Advocate, Ramona Winner, at 805-884-8440 or emailing rwinner@mentalwellnesscenter.org. Family Support Group: A group for family members and caregivers of loved ones living with mental illness, providing an opportunity to share with one another in a safe and supportive environment. Thursdays: 6:00-7:30pm at the Mental Wellness Center - 617 Garden St.
*Not available the 4th Thursday of every month. The Mental Wellness Center offers an online portal for information that you can share with your family about mental health and illness. Learn through the online Education Portal. Have your family contact a Family Advocate at the Mental Wellness Center or call us by phone: 805-884-8440. Have your parents or other adults check our section of the website for Family Services. For additional resources, please click on Resources. If you or someone you know needs immediate help, please call 9-1-1. For emerging concerns, please call the 24 Hour Toll-Free Crisis Response Access Line 888-868-1649.